At the beginning of the 2016-2017 programming year for Jack and Jill of America, Inc. Augusta Chapter, LaDonna Walker was approached by her Chapter President Dr. Audrey Alleyne to chair the Communication and Leadership module for their chapter teens. The Program Director, Alexcia Delley, recommended that she reach out to one of the local Toastmasters Clubs to assist the children in this module. LaDonna was able to get in contact with Toastmaster Karmen McClain of Club #326. She contacted others members of Club #326 to assist in preparing children for the 2017 Ann Owen Gordon Oratorical Competition. The club members mentored the children, building confidence, self esteem, and enhancing their effective communication skills. 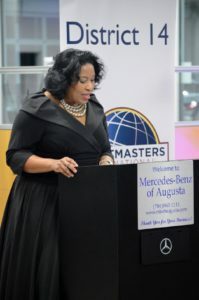 Witnessing the collaborative efforts between the members of Toastmasters Club #326 and the mothers of the Augusta Chapter of Jack and Jill, Inc., a seed was planted between Karmen McClain and Ladonna Walker, to blend their talents and develop a new club Toastmasters Club at Augusta University Medical Center for the continued professional growth and development of the staff. Almost two years later, with the assistance of Julie Moretz, VP of Patient Experience and many others, their dream became a reality. The Masters Toastmasters Club # 7145219 is now officially chartered and here to inspire and lead others in effective communication, leadership, and professional development. 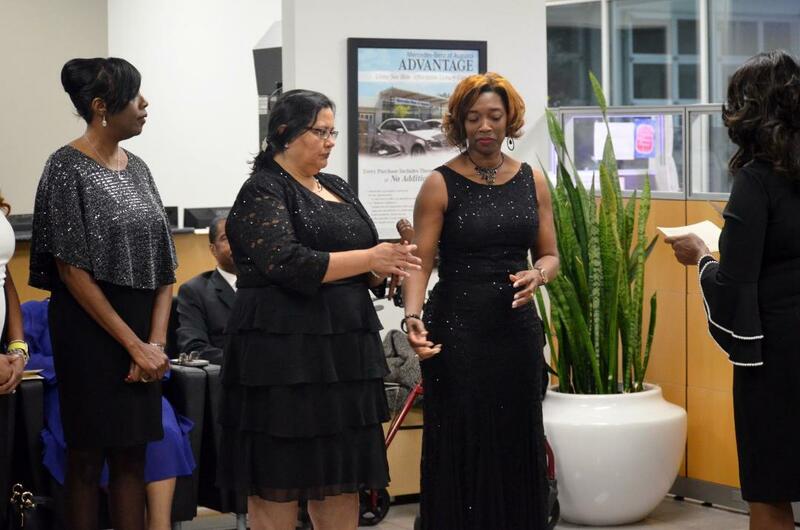 The Masters Toastmasters Club # 7145219 was officially chartered October 1, 2018. The Masters Toastmasters club meets weekly on Thursdays at 5:15pm at Augusta University Medical Center. What an amazing story of achievement. Congratulations and I wish you continued success as your club inspires and becomes a model to other clubs. The Masters Toastmasters Group is led by a dynamic leadership team! Thank you for having the vision to push forward with opening your club, the Trio knew this club would perform as witnessed at the Club Charter ceremony. The District looks forward to your continued success as a club. 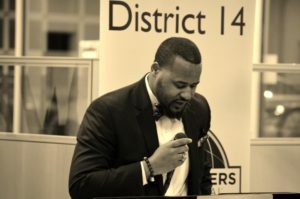 I had the pleasure of attending a club meeting yesterday and the members that gave their Ice Breaker speeches talked about the value of Toastmasters and why they joined. I watched LaDonna put the members at ease, encourage them, and praise them for stepping out of their comfort zones. The club has set the bar high. They have yearly memberships. They see a goal in front of them and seize the opportunity to go for it. They have an excellent executive team that support LaDonna and the members. I witnessed them use what they learned at TLI in the best practices at the meeting. This Wednesday. They use parliamentary procedure and don’t make decisions for their members and vote when there is change. They have developed their own club culture and so glad they are a part of our team.. The officers that attended TLI shared what they learned with fellow members immediately. They had m&m’s for members and guest. Sharma Pogula shared the idea of giving m&m’s with members and guest because members matter. And that is the first thing I saw when I entered the meeting room at their table for guest. Wow, they don’t miss a beat. Thank you The Masters Club for continuing to strive for excellence. Congratulations to the newest club in Division E, Area 52. The club is off to an excellent start and I am excited to see the amazing things this club will accomplish. Thank you for the outstanding leadership by the club officers, and the commitment of each member. You should be proud of the amazing strides you have made together so quickly. 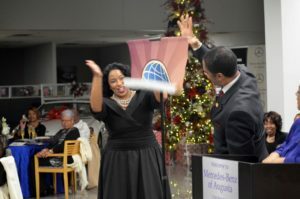 Congratulations Masters Toastmasters Club. I heard you all had a fabulous Chartering Ceremony. Please come to the District 14 annual conference to be held April 26-27, 2019 at the Atlanta Hilton Airport hotel. I look forward to meeting you!